Michel Houellebecq’s new novel, “Submission,” imagines France in 2022 under its first Muslim president, Mohammed Ben Abbes. The novel, which caused a stir in France when it appeared in January, comes out in the United States next Tuesday. 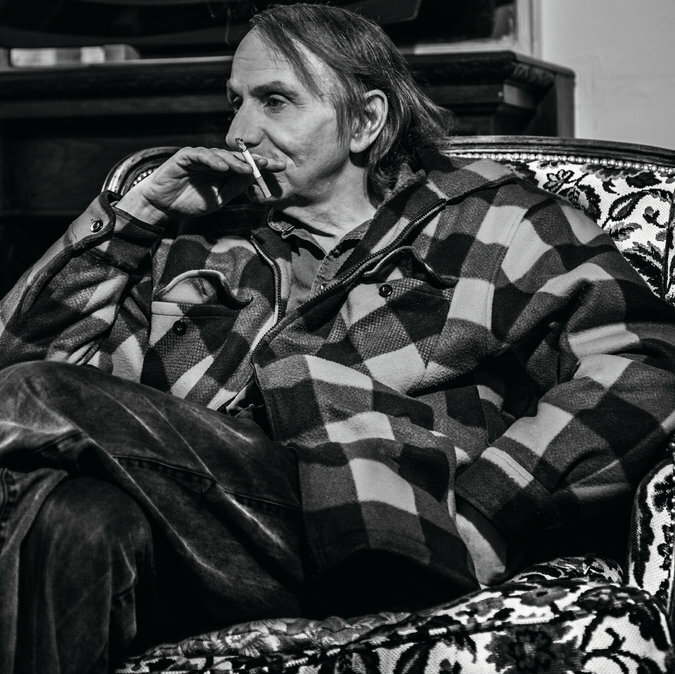 Mr. Houellebecq talked with Rachel Donadio about the book, and about politics and religion. Here are edited excerpts from their conversation. Q. Some have written that “Submission” talks a lot about the collabo (or collaborationist) spirit that one finds in France. Is Robert Rediger — in the novel, the rector of the Sorbonne, who shifts from the Roman Catholic right and converts to Islam — a bit like that for you, someone who changes depending on the regime of the moment? A. No, no, in this book he’s not really a collabo. He converted to Islam 20 years ago, so long before Ben Abbes becomes president. We don’t say that someone is a collabo if he converted before the start of a [movement’s] success. A collabo is someone who converts at the last moment. No, from the start he’s persuaded that a religious force will come to power, but he starts out focusing on his Catholic identity, and all of a sudden, he realizes that the Catholics are [losing], and that he has to convert to Islam. Q. Should we read that as satire, or as reality altered just enough to make us reflect on it? A. If the circumstances lend themselves to it, you can observe behavior of this kind. It’s not in the realm of the unrealistic. Let’s say that if the book is unrealistic, it’s not for those reasons. Instead, it’s because it’s hard to imagine that Muslims will come to an agreement among themselves. Q. So Rediger’s trajectory is more believable than the possibility that France will have a Muslim president in 2022? Q. Many people have said that this book will help the right-wing National Front party. A. I don’t really think so. Q. Because a novel doesn’t have the power to do that? A. Yes. People can read all the novels they want. That will never change political opinion. It’s striking. The response to jihadism — it’s a religious sect from start to finish, it’s a variation, a deviation of a religion — it’s never easy to fight against a religious sect. The police are useful, but in principle, only religions can fight efficiently against other religions. Q. What do you think of President François Hollande? A. Only bad things. He’s not worth it. Q. Is there anything better on the political horizon today? A. I don’t know, but I don’t think there could be worse. I don’t even want to talk about it. I can’t even bring myself to watch him on television. I have to flip through the channels. It’s painful. I’m ashamed. I’m ashamed to know that he represents France. Q. Is Marine Le Pen, the head of the National Front, better? Q. I don’t understand why people talk about the suicide of Europe. A. It’s simple. The most sure way for a country to commit suicide is through declining birthrates. It’s the fastest way. It’s not just Europe. Japan is also killing itself, even faster than Europe. Q. Do you want Europe to succeed? A. No, I hope it will fail. It’s a nightmare. It’s the disappearance of any possibility of democracy. It’s something that I don’t want, that many French people never wanted. It’s bringing together countries that don’t have common interests. European culture existed until the 18th century and the 19th. Now it doesn’t exist anymore. European countries have a national culture and there’s Anglo-Saxon culture. National culture is holding up well, more or less, in France, not at all in Italy and in Spain. Q. What strikes me in Europe is that those who say Europe isn’t democratic are both the populist right and economists of the left. A. Above, all it’s a reality. No one knows who’s leading, no one is consulted on decisions. It’s a bit the opposite of democracy. Q. How do you situate yourself politically? A. I vote only on referendums. I’m against representative democracy. It’s a bad system. Q. But you think that it’s too bad that Europe isn’t a democracy. A. Europe is worse than anything because there isn’t even the parody of representative democracy. It’s a pure oligarchy, Europe. Q. But the structure of Europe was a nice idea. A. I don’t think that it’s a nice idea. From the start, I was against it. It’s very important for me. It’s my only political engagement. We didn’t realize it. It was slow, progressive. The French weren’t at all interested in it.